← What’s Coming Up & Announcements! Girls Night Out! 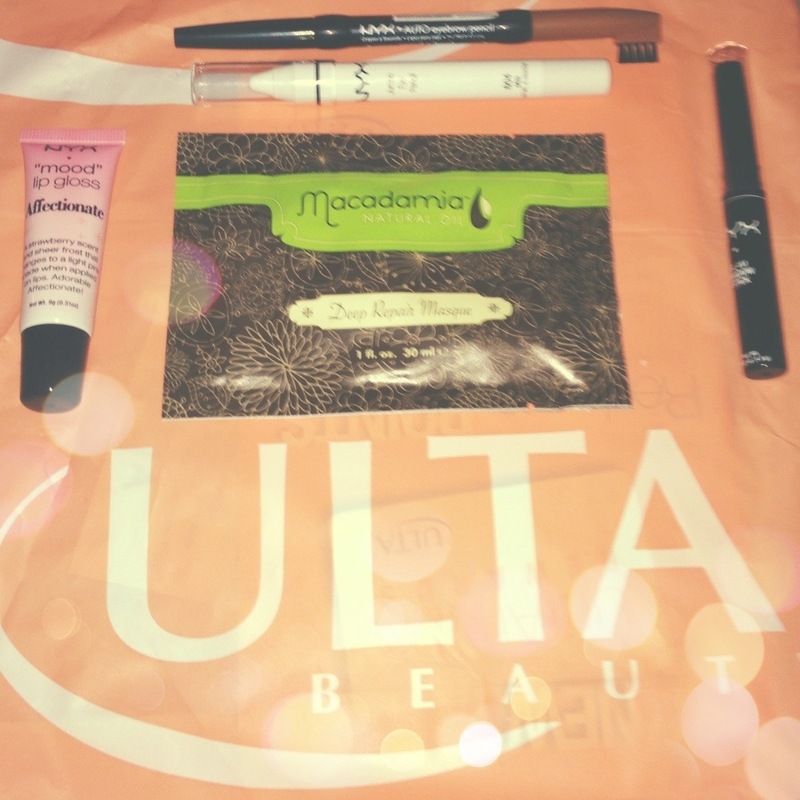 ULTA (HAUL), Bonefish, and Froyo! Tonight was eventful! 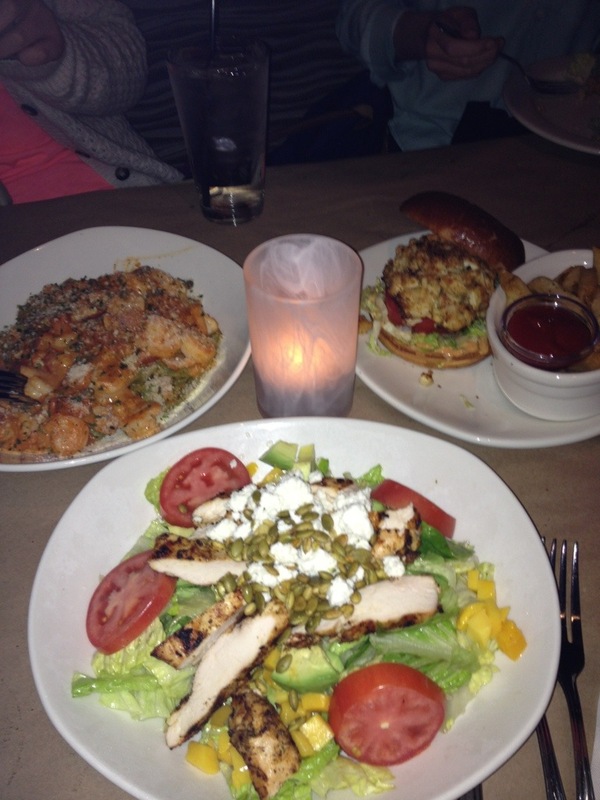 It was Friday-Night-Girls-Night! I am really intrigued with the NYX brand. I’ve heard so many good things about it; I am just extremely skeptical because of how inexpensive the products are! NYX: Glam Shadow Stick (Pink Ruby) —> Julia got this! NYX: “Mood” Lip Gloss (Affectionate) —> This is supposed to change color when you apply it! SO COOL! NYX: Jumbo Eye Pencil (Milk) —>This is for lining my waterline! NYX: Auto Eyebrow Pencil (Light Brown) —> I ran out of my Clinique eyebrow pencil and wanted to try something new! Macadamia: Deep Repair Mask —> I really wanted to try the full size but I can’t bring myself to buy it (I can’t allow myself to buy $20 product not knowing if I will like it or not!). This was in the checkout line and I said ‘YOLO” purchased it. 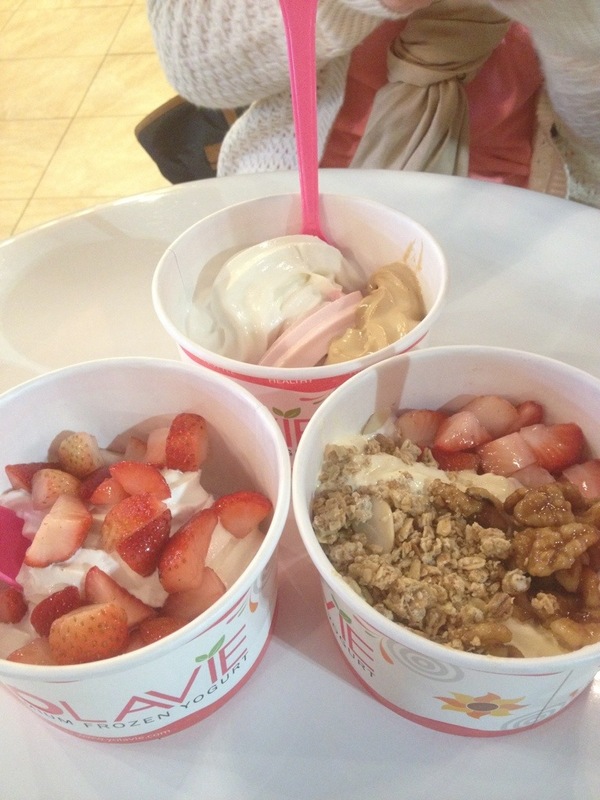 Alpine Vanilla with Strawberries, Wet Walnuts, and Granola! Strawberry Banana, Alpine Vanilla, and Dulce De Leche!